Hello again! I seem to have well and truly fallen off the blogging wagon at the moment, don’t I?! I’ve been so busy working on different projects that I’m kind of at a loss of where to start so I’ve decided that I’m going to mostly start afresh rather than just have lots of show and tells. Hope that’s okay with you?! When I posted a picture of the quilt top on IG, Justine from Simply Solids asked if I could make one for her using the lovely Chloes Closet 1930’s repro’s, so I made another (which Little Girl promptly asked to keep for herself!) which has been sent off to Trudi for some quilting magic – I can’t wait to see what she does with it (it’s guaranteed to be far more impressive than what I do!) and a pattern will be available soon. Today’s sky ● beautifully blue (and warm) with a few clouds. Sonia, I got my hands on the shop quilt yesterday before it was packed off and it was truly beautiful. You did an amazing job and sooo quick too. Its a lovely quilt pattern isn't it? Lovely quilts Sonia, Comma is perfect for boys isn't it? Those Simply Solids girls have you working hard! I don't think a less than a month break can be called falling off the wagon! 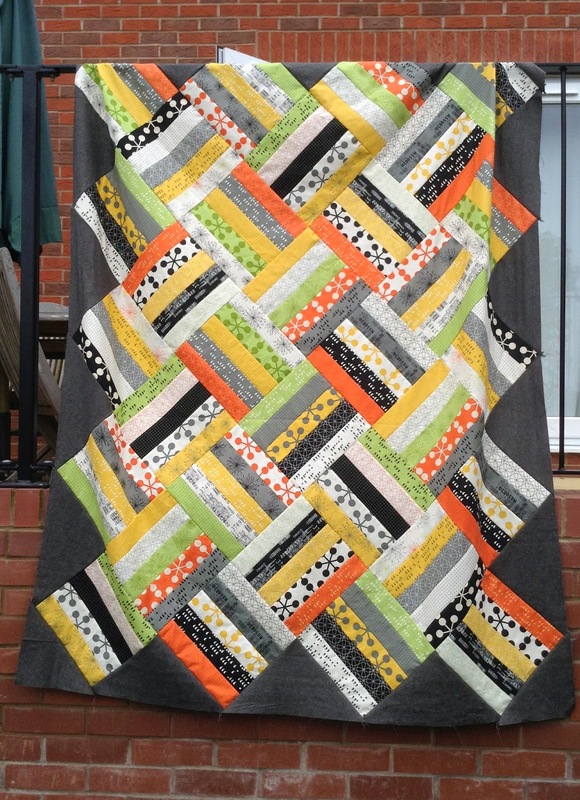 Love these quilts, I'm excited to see what Trudi does so goodness only knows how you feel! These both look fab Sonia!! I've lost my chat too lately, just don't seem to have time to sit and sew never mind write! Too much cooking ….! Same pattern but such a different look! Well done!